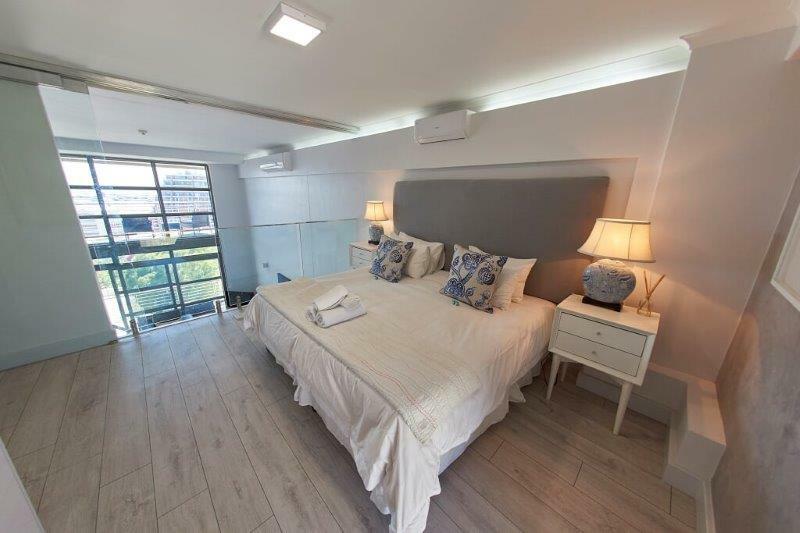 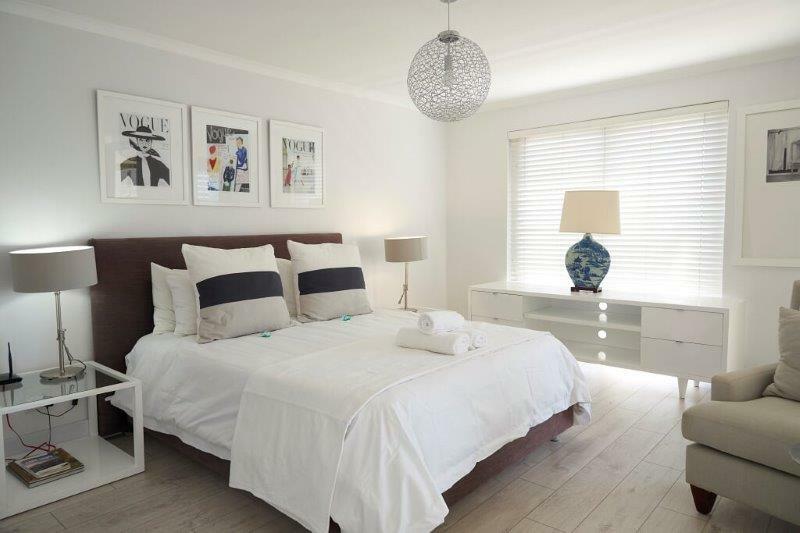 Welcome to this beautiful, spacious Three Bedroom Three Bathroom newly renovated apartment situated in trendy De Waterkant. 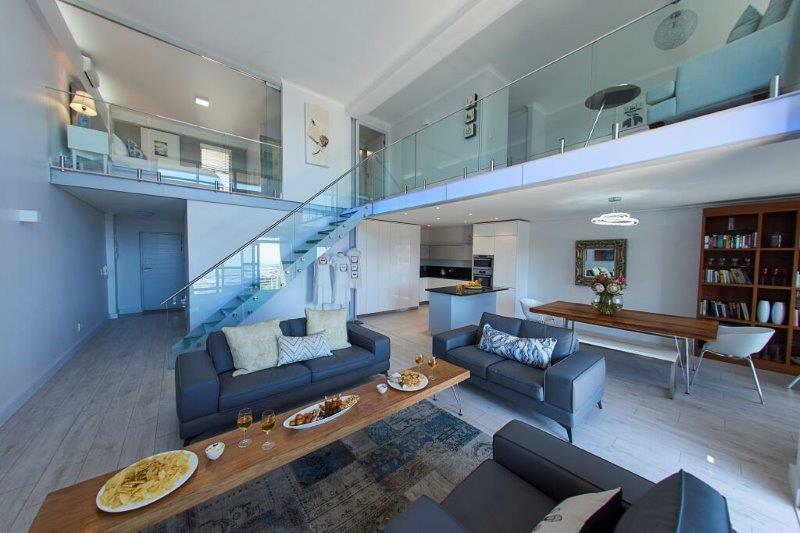 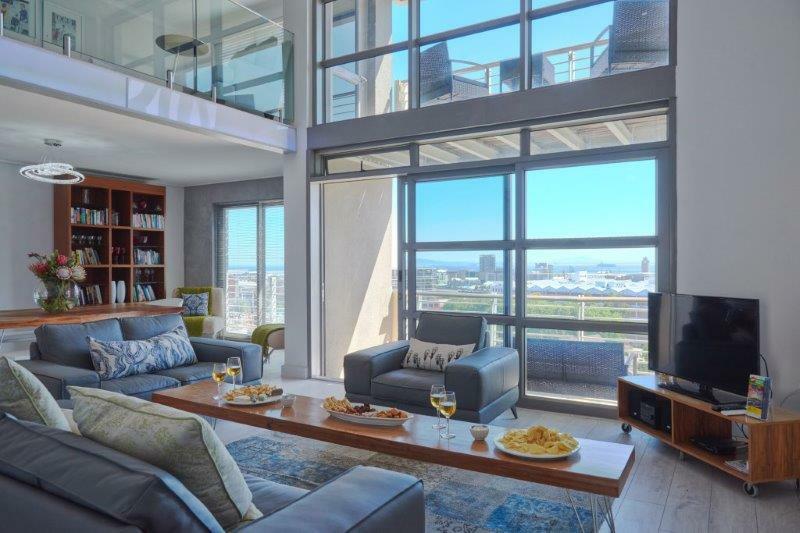 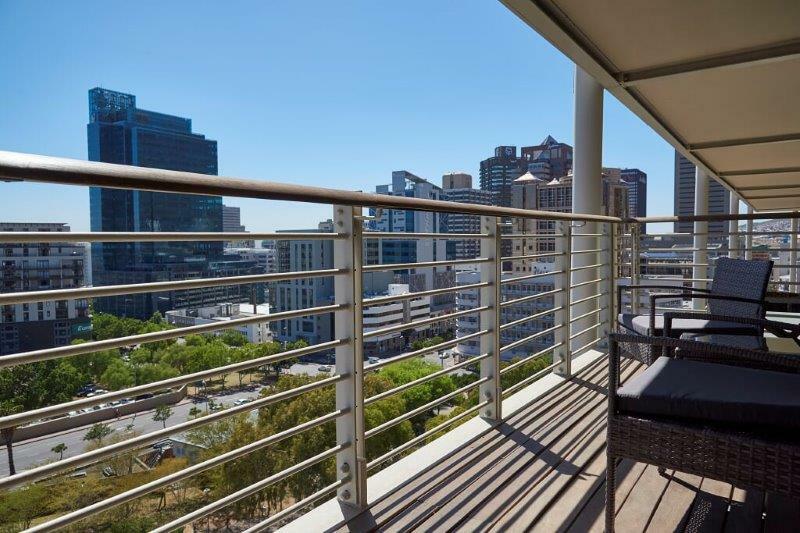 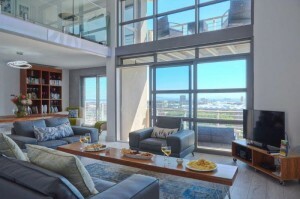 With two balconies that boasts the most spectacular Harbour & City Views. 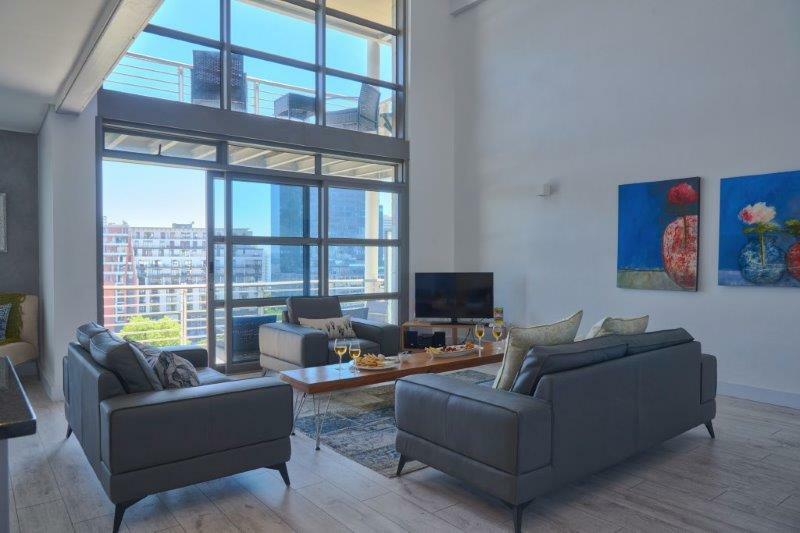 This apartment offers secure parking, the building offers a pool. 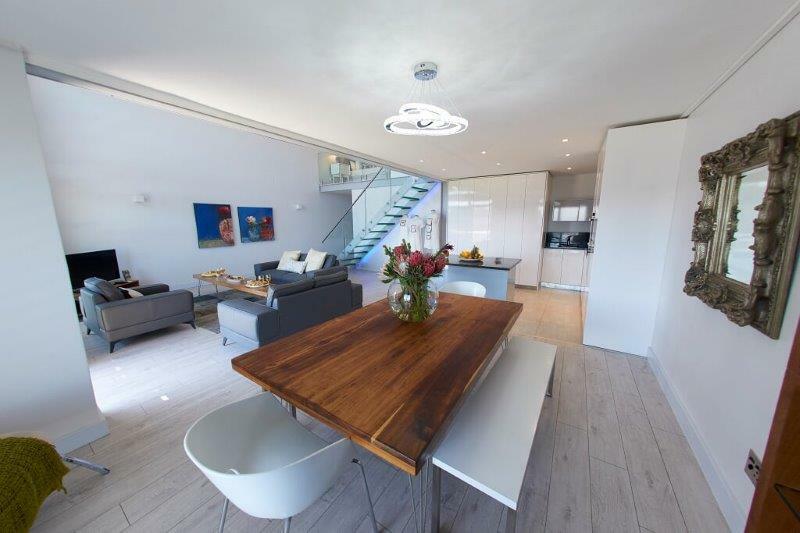 A fully equipped, stylish open plan kitchen with large dining table. 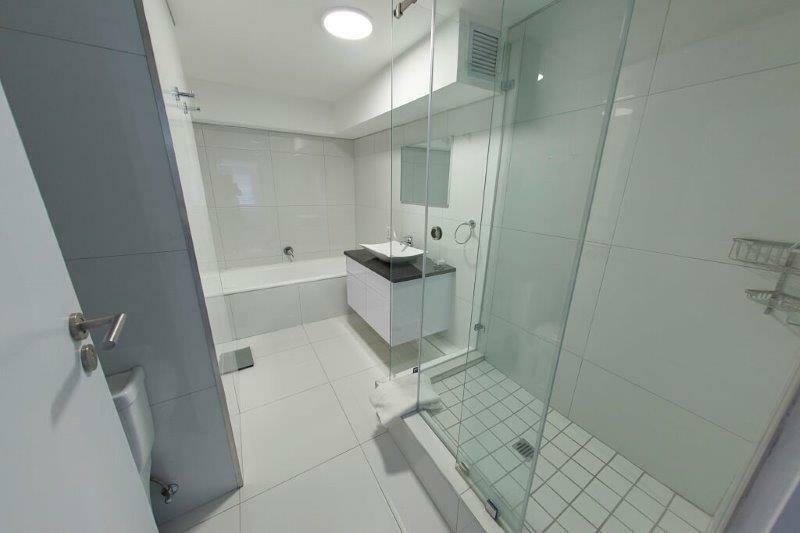 The space offers a relaxing family holiday atmosphere. 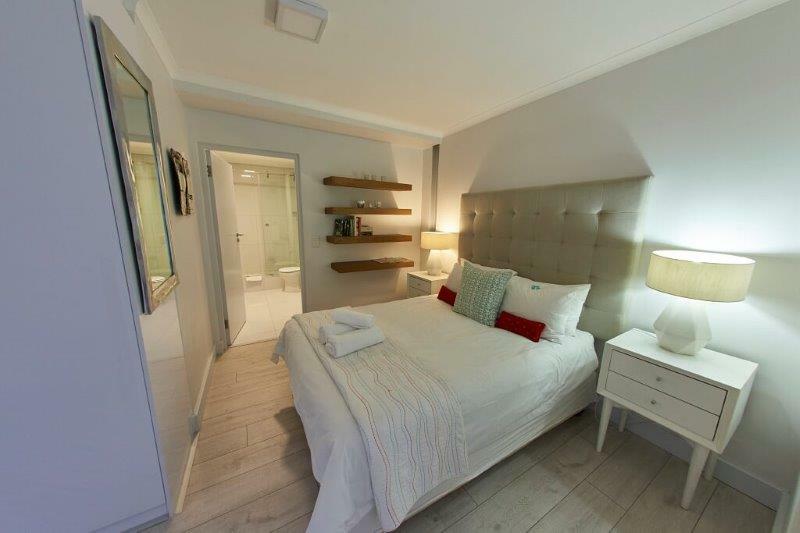 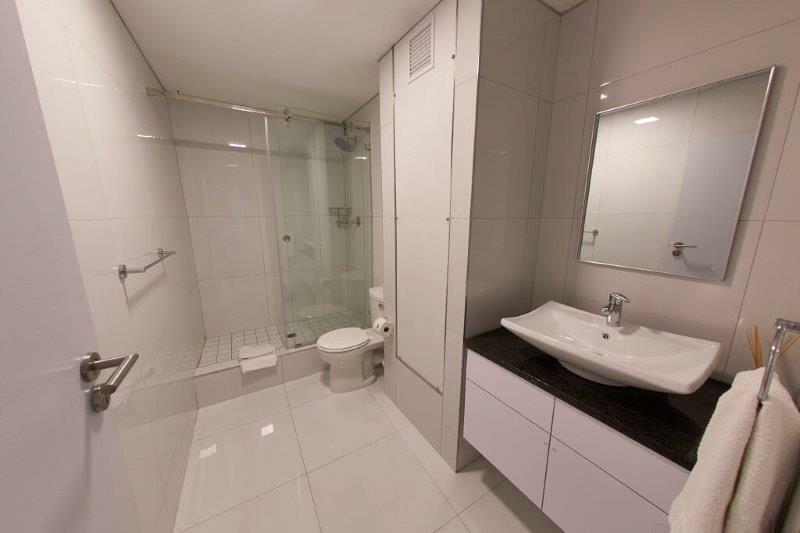 Soho self catering apartment has been renovated, with and open feel to this. 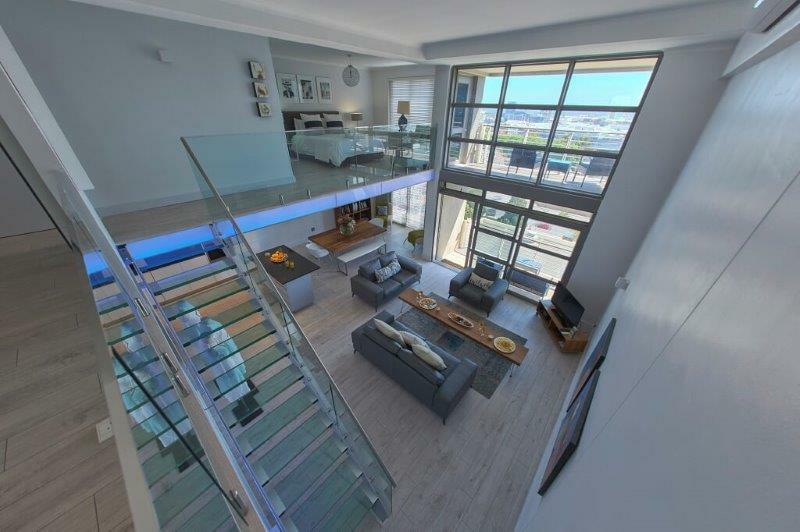 Glass steps that would lead you the 2 bedrooms upstairs.